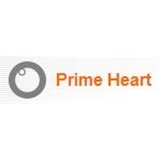 Prime Heart: Sunil Patel M.D. (Jersey City) - Book Appointment Online! We believe "Prevention is better than Cure". Cardiovascular Diseases are leading cause of death. Our Goal: Identification of Patients at risk of Cardiovascular events and provide the highest quality medical care, with respect and compassion for our patients.